Philomena (Judi Dench) became pregnant as a teenager and lived in at Sean Ross Abbey for a while, working off her debt to them for giving them somewhere to live. Then, the baby was adopted out against her will. Years later, her son would have been fifty and she decides she needs to find him. Her daughter bumps into journalist Martin Sixsmith (Steve Coogan) who has been disgraced out of his position advising politicians. Together, Martin and Philomena head off to find the truth. It’s definitely a good film. Emotional, powerful, worthy. But having recently seen Oranges and Sunshine, I see how much bigger this film could be. Oranges and Sunshine killed me with the trauma presented. But perhaps this is not fair; perhaps the story is not really comparable. It’s worth a watch, but it wasn’t earth shattering. Philomena was nominated for Oscars for Best Motion Picture of the Year, Best Performance by an Actress in a Leading Role (Judi Dench), Best Achievement in Music Written for Motion Pictures, Original Score and Best Writing, Adapted Screenplay (Steve Coogan and Jeff Pope). It was also nominated for Golden Globes for Best Motion Picture – Drama, Best Performance by an Actress in a Motion Picture – Drama (Judi Dench) and Best Screenplay – Motion Picture (Steve Coogan and Jeff Pope). 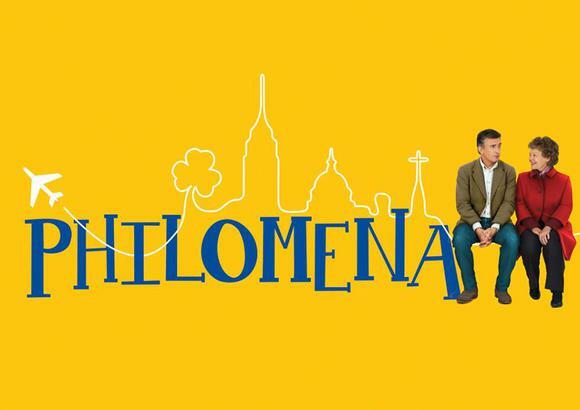 Philomena won a BAFTA for Best Adapted Screenplay (Steve Coogan and Jeff Pope) and was nominated for the Alexander Korda Award for Best British Film, Best Film and Best Leading Actress (Judi Dench).